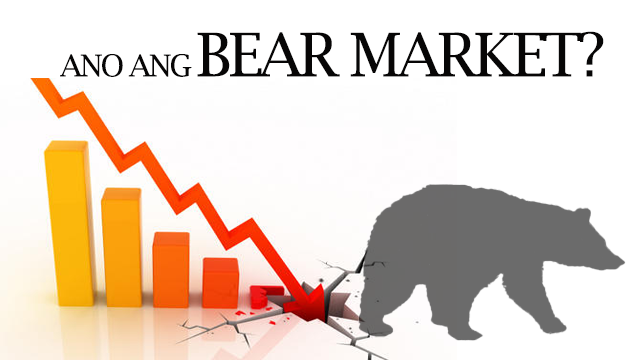 Dala ng patuloy na pagbagsak ng Philippine Stock Exchange (PSE) Index, marami ang nagtatanong kung “Bear Market” na ba ito. Merong sumasang-ayon, at merong hindi. Kaya, ano ba talaga ang “Bear Market” na yan? Ang depinisyon ng Bear Market ay ang malaki at patuloy na pagbaba ng presyo ng stocks at ang pananatili nito sa mababang lebel sa mahabang panahon. Gaano kalaking pagbaba? Higit sa 20%. Gaano katagal? Medyo may pagtatalo pero ang kadalasang sinasabi ay higit sa 3 buwan. 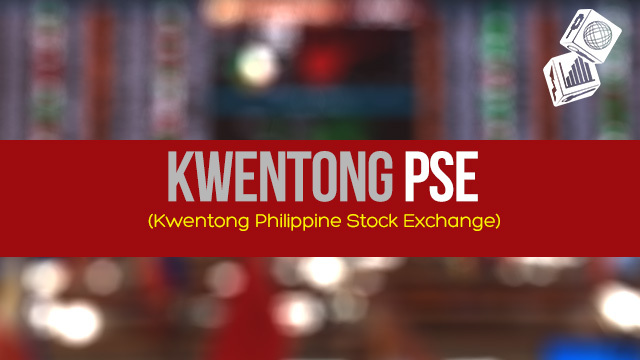 Ngayon, gamitin natin ang depinisyong yan sa Philippine Stock Exchange(PSE) Index. Kapag ginamit ang all-time high ng Philippine Stock Exchange (PSE) na 8,136 noong 2015 at binawasan ito ng 20% — 6,508 ang makukuha mo. At dahil binasag na ng Philippine Stock Exchange (PSE) Index ang lebel na ito, pwede na simulang sabihin na Bear Market ito. Ang titignan na lang natin ngayon ay kung mananatili sa mga lebel na ito ang Philippine Stock Exchange (PSE) Index sa mga susunod na buwan. Kung oo, kumpirmasyon nga yan na Bear Market na nga ito. Syempre, ang susunod na tanong eh, kailan muling aakyat ang market pero para masagot yan ay kailangan munang maintindihan ang dahilan kung BAKIT ba nalaglag ito. Star Wars: The Force Awakens is now #3 movie in terms of all-time box-office. As we head into December, people everywhere are beginning to take stock of how 2015 has been for them. Given that the Philippine Stock Exchange Index is currently several hundred points lower today, it is no surprise that many people who started investing earlier this year are having second thoughts. After all, it was barely six months ago that the Philippine Stock Exchange once more set a new all-time high and things looked good. 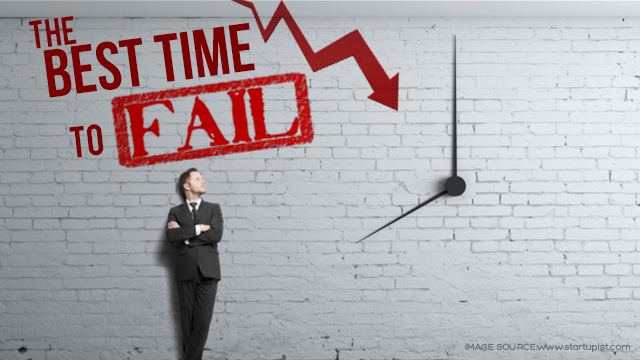 Nowadays, the increasing number of “long-term investors” seems to point to a gloomy outlook for 2016. And I would have to say that my own outlook for 2016 would be more bear than bull at this point – especially for the latter half of 2016. Why? Lots of reasons but the two main ones are the following: Politics and Interest Rates. POLITICS: While the first half of 2016 will surely benefit from election spending, the latter half will most likely not be as good. This is because, unless Mar Roxas wins, there will definitely be major turnover in pretty much every government entity as the new President will begin replacing P-Noy’s people. There will also be electoral protests by the dozen as losing candidates will shout out their usual protests of being cheated. And this is pretty much the best case scenario as the worst case will include violence and massive fraud. All in all, I really do not see business moving forward much as people have to try and figure out how to work with whoever gets elected. INTEREST RATES: When the U.S. Federal Reserve (Counter part of Bangko Sentral ng Pilipinas) finally raises interest rates, local rates will be forced upwards as well. This would then lead to a higher cost of borrowing for both businesses and consumers. And this is a major concern for me as many Pinoys, both here and abroad, have borrowed large sums of money to finance the acquisition of cars and condos over the past decade. The question now would be whether these people will be able to continue making payments when interest rates rise. What is even more worrying for me is that one highly regarded international property consultant has already published a report saying that condo sales and rentals have negative prospects for the next 2 years. First off, ENJOY the coming Christmas season in moderation. Just as you know how much you can eat or drink before you start getting wasted, you should also know how much you can spend before you get into trouble. Do NOT spend all of your 2016 savings before you’ve actually saved them. Second, prepare for the tough times. Study and invest wisely – especially when prices of many assets (and not just stocks) go down. Example: Gold is now almost 50% lower compared to 2011 / 2012 prices. 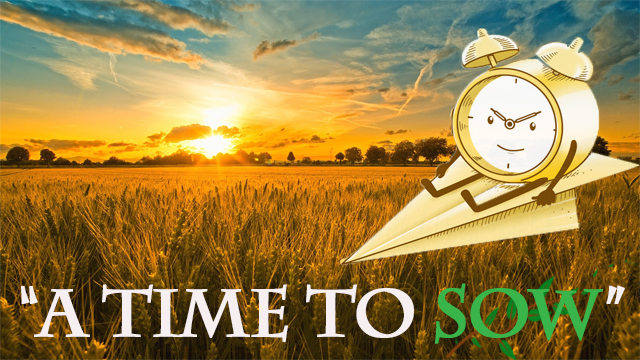 Real estate prices are also expected to correct so if you are truly serious in accumulating assets cheaply for the long run, then 2016 may be a good starting point. Third, get started. Yes, the coming days will be challenging but if you keep waiting for the “perfect” time to start, you will never end up doing anything. 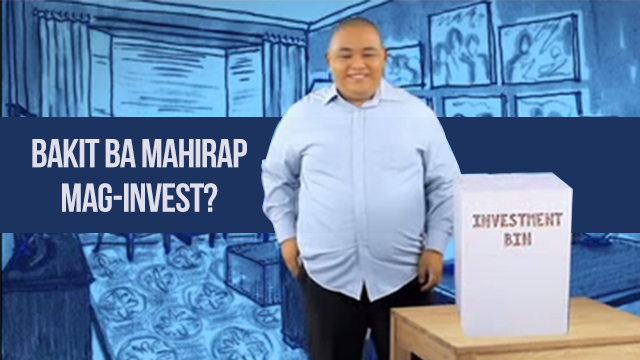 As always “Aral MunaBago Invest” and Merry Christmas! It was out of chance that I discovered the stock market. I was 17 and had just finished high school. College was still a few months away and I had nothing much to do. I passed the time by reading a book where some Canadian kids raised money through something called the “stock exchange”. Though we highly don’t recommend raising school project funds through stocks, it was exciting for me to think that such a thing called the “stock exchange” even existed. I asked my older brother if there was a stock exchange in the Philippines and I was delighted when he told me there was. 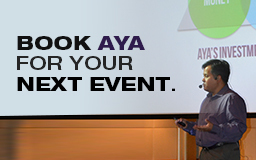 I started asking him a LOT of questions and, through my enthusiasm, was eventually introduced to one of his friends – Aya Laraya. M: Tara, stocks na tayo!! Bili tayo blue-chips. A: Wag muna, mahal na. Mataas na valuations. P/E’s (Price to Earnings Ratio) are historically high. Mas OK valuations ng Thailand. Malalaglag din yan. Lampas 20-taon na akong umiikot sa mundo ng investments at sa loob ng panahong iyon ay may mga tanong na laging lumalabas. Ito ay isang listahan ng mga tanong na iyon kasama ang aking mga sagot. Kung kayo ay merong tanong na gustong masagutan, padala lang po ninyo sa amin. Lahat naman tayo gusto umasenso. Kaya naman tayo ay handang magtrabaho kahit sa ibang bansa para kumita ng malaki. Alam din nating lahat na kailangan nating palaguhin ang perang kinita na natin bilang handa para sa panahong hindi na tayo pwede magtrabaho. Pero bakit nga ba ang hirap nito? Sa aking palagay merong 3 na dahilan bakit nahihirapan tayong mga Pilipino. The New Year promises a fresh start for everyone. That is why a lot of Filipinos during this time formulate resolutions to help them establish goals, make some changes, and improve their lives. The biggest challenge comes the month after, when old habits try to find its way back. Aside from having resolutions, they need to have enough willpower so they can stick to their game plan. The same principle applies in handling money. In 2015, we want our followers to be smart in handling their money – on their way to financial freedom. 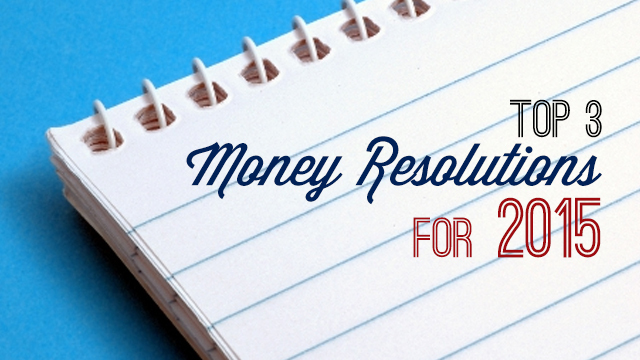 If saving money is one of your resolutions, make sure you master these things first in order for you to do it successfully. Do all of these thoughts echo in your mind right now? We all want to have a better life and a much more stable financial standing. We all want to stop worrying where did all our money go and become financially sufficient instead. The thing is, how and where should we get started? 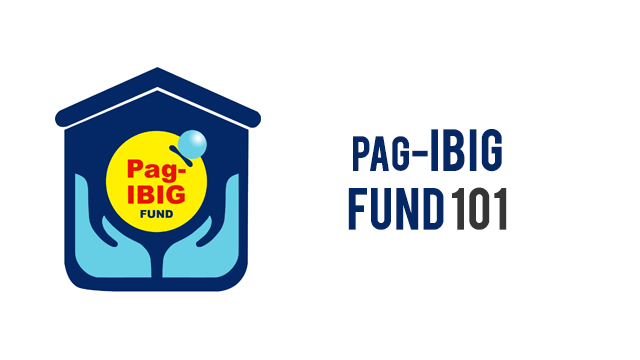 We all know what Pag-IBIG Fund is, most of us have it. But do we really know how it works? Pag-IBIG is an acronym for Pagtutulungan sa Kinabukasan: Ikaw, Bangko, Industriya, at Gobyerno. It was set up by the government to assist the working class in buying a home. The fund covers all working Filipinos both here and abroad. The required contribution is at least P100 per month. If you like, you can contribute a bigger amount. OFWs can choose to pay a yearly lump sum.